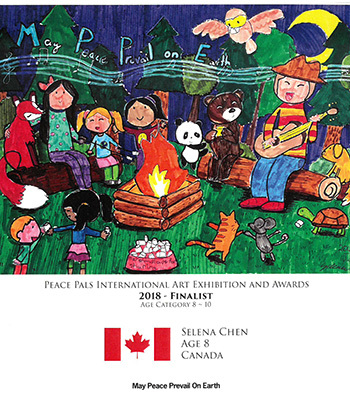 The VSA Art and Design Studio Inc. sends entries every year for the Peace Pals international Youth Art Competition. 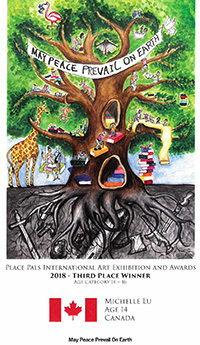 This last year the school had 5 talented students receive awards for their stunning submissions. 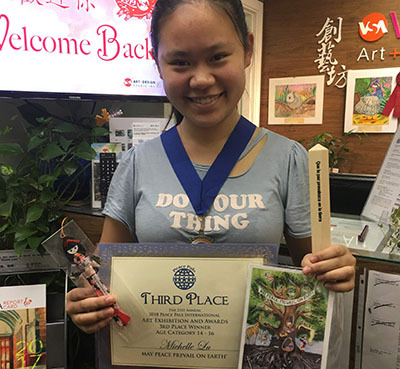 Isabella Yin won 1st Place in the 2018 competition. She received her Peace Pole recently and is very excited to be given such an honor. We are extremely proud of her achievements. Michelle Lu is all smiles as she graciously accepts her 3rd Place Award. 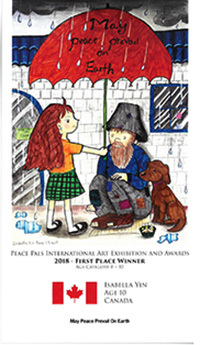 The pride exuded in these participants is expressed through their gratitude, the ripple effect of happiness is as beautiful as the artwork they submit. 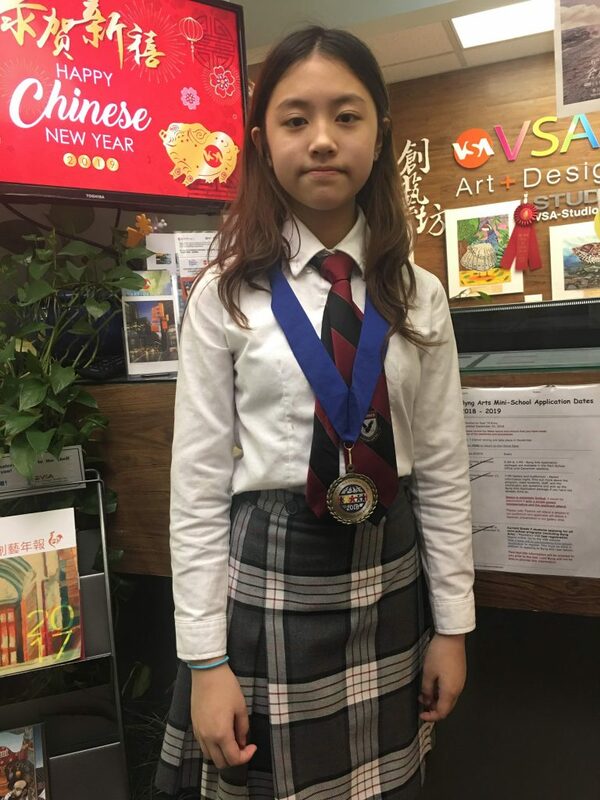 Selina Chen, Tia Li and Sophy Cai all received awards as Finalists. VSA is an Art & Design Studio has an enriching programs designed to build a strong foundation for the future of the younger generation. They also help to build strong work ethics, support emotional balance and relaxation through visual art. They teach the students how to contribute through art to better society. 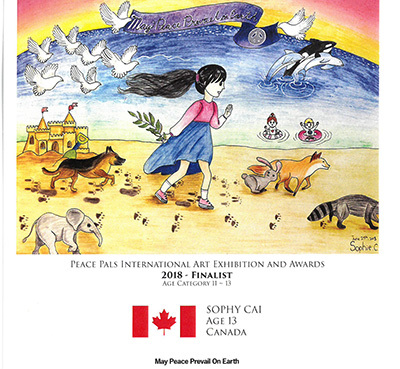 Much of their teachings and beliefs are similar to those of the belief behind May Peace Prevail on Earth. Learning to work together in society to bring about a positive global change. 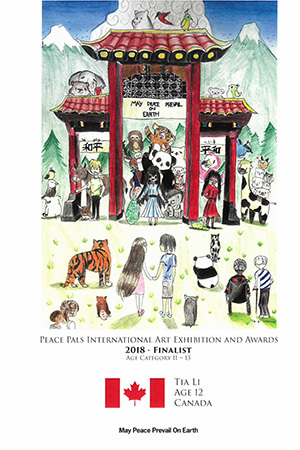 Congratulations to all from the VSA Art & Design Studio, we look forward to seeing what this year’s competition will bring from their talented youth. 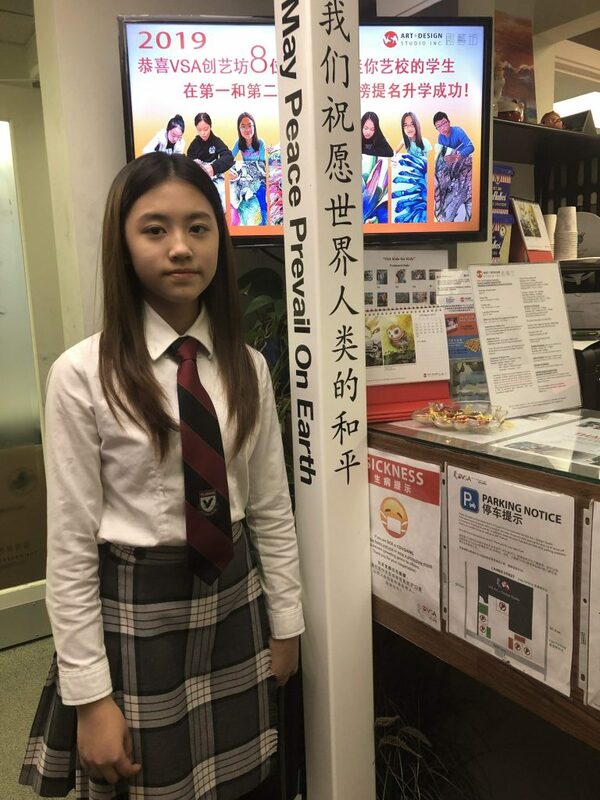 Photos of Students provided by VSA Studio, Vancouver Canada.